The best innovation for premium cigars since the invention of the Boveda humidity pack! 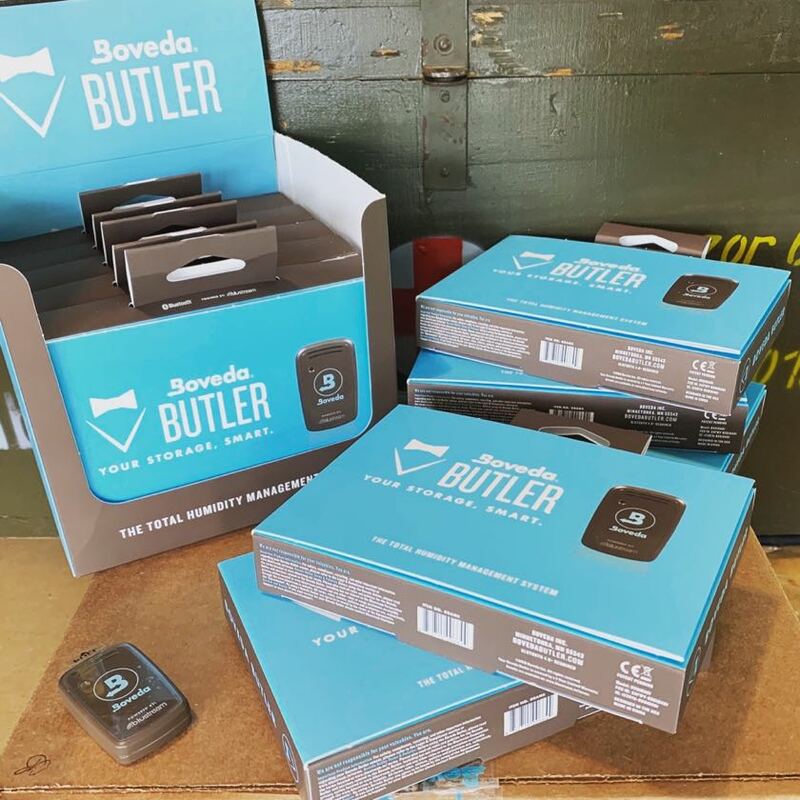 The Boveda Butler lets you see what’s going on inside your humidor without having to open the lid (or even be in the same room—or country!). 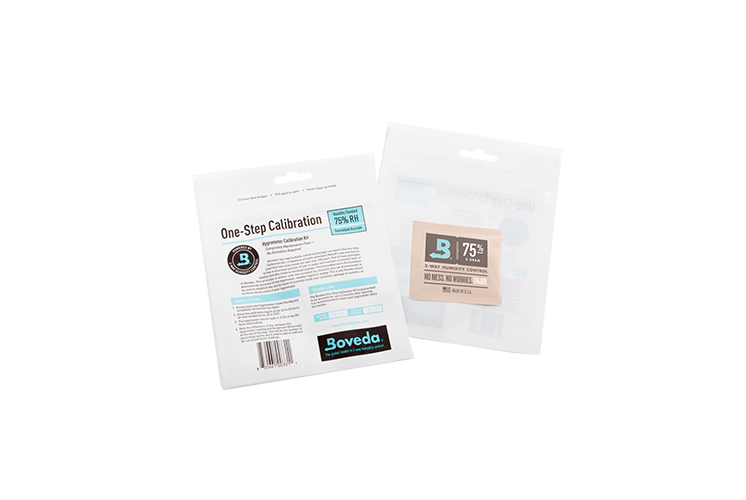 Just calibrate your Boveda Smart Sensor with Boveda’s One-Step Calibration Kit that is included with your kit. 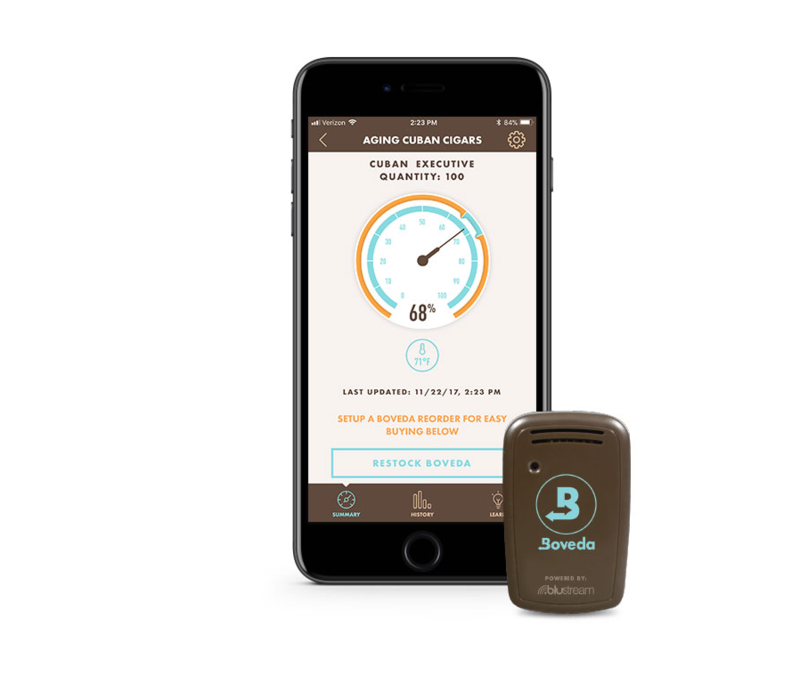 Then sync up your smart sensor to the Boveda app for ongoing, hassle-free humidor maintenance right from your smartphone or tablet. • Customize temperature and humidity ranges for your humidor. Receive alerts if readings veer outside your preferred settings. • Catch damaging conditions that could affect your cigar collection through real-time temperature, humidity and impact data. 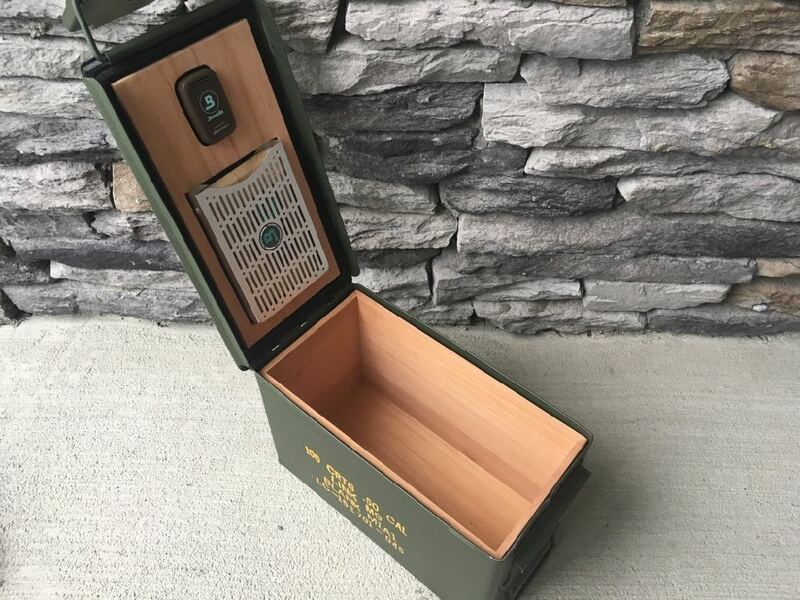 • Act on your humidor’s temperature, humidity and impact history to make changes to your cigar storage. 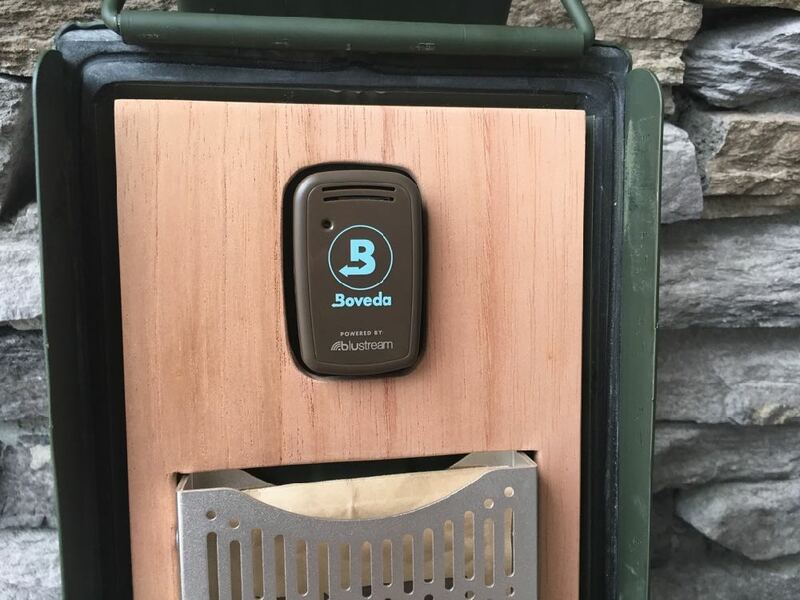 • Setup your auto reorder for Boveda right from the Boveda app. 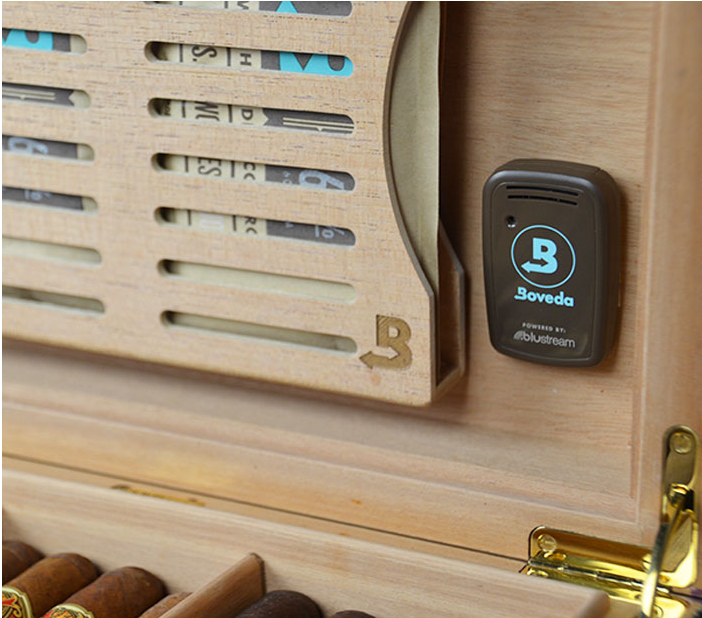 • Remotely monitor your humidor by using a second compatible tablet or phone to extend the sensor’s 100-foot reach. • Eliminates the need for separate hygrometer and thermometer. • Calibrate with the included 75% easy calibration kit for accuracy to +/- 2.5% RH. You can also calibrate with a second 32% kit (sold separately) for superior accurate to +/- 1.5%RH! • Works in all metal and wood ammo cans and containers made by Ammodors! Download the Boveda app for iOS devices (iOS 10.0+) on the Apple App Store or for Android (5.0+) on the Google Play Store. • Sensor must be calibrated before use to ensure accurate readings. • Uses standard CR2032 coin battery (included). • The sensor can store up to 10 days of data when out of Bluetooth range of the app. If the period of no connectivity extends beyond 10 days, the sensor can only download the last 10 days of data to the app when connectivity is re-established.